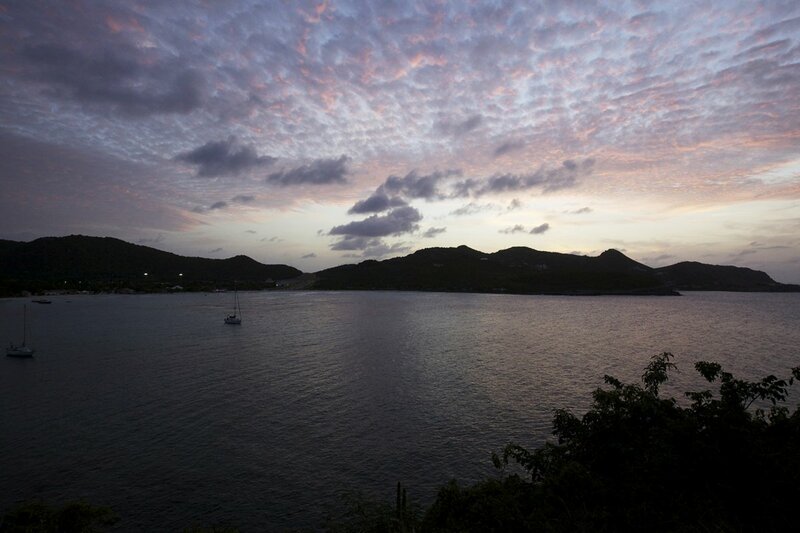 Just over the saddle and across the island from the capital of Gustavia is St. Jean and St. Jean Bay. 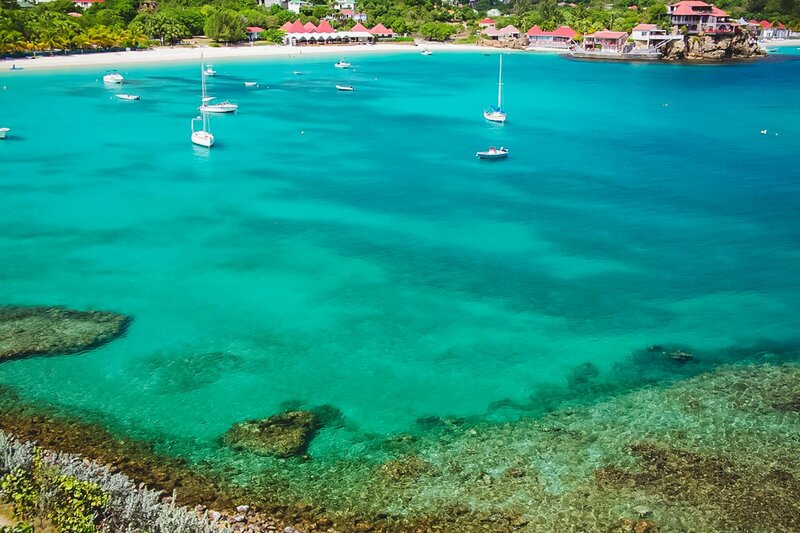 This is arguably one of the most popular (and for good reason) areas of St. Barth and is centered around one of the most beautiful beaches on the island. Whether it’s the glittering aquamarine waters or the smell of fresh French Pastries from La Boulangerie, but you might start to think you are basking on the French Riveria. St. Jean Beach boasts a long stretch of warm, white sand and is bordered by shops, restaurants, and boutiques, catering to all ages. Since this is one of the most popular beaches on the island, you will want to arrive early enough to grab a good spot. For those looking for a more peaceful spot, look on the south side of Eden Rock, which separates the beach into two main sides. 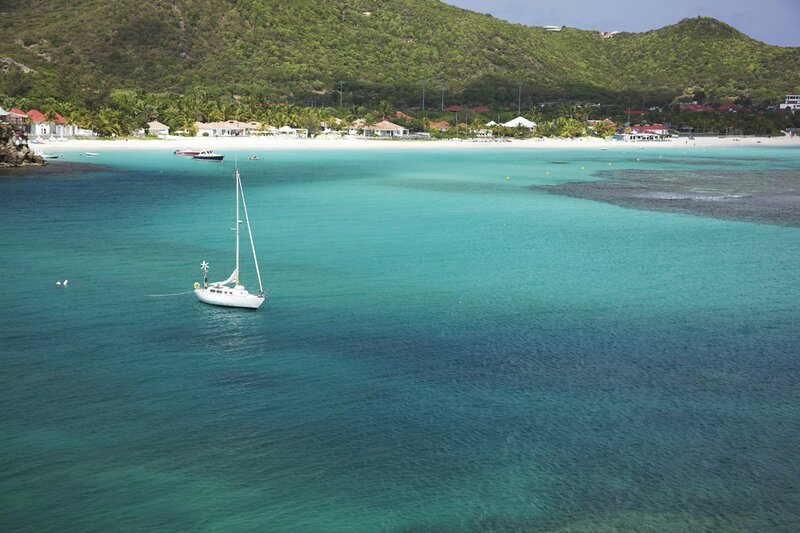 For those looking for a little more than sunbathing and people watching, St. Jean Beach is great for water sports such as snorkeling, surfing (as the reef-protected waters are generally calm), and there is also a sports complex where visitors can partake in soccer, archery, or even tennis. It’s also the perfect spot for sunbathers or families looking to spend a day making sand castles and splashing around in the warm water. Local’s Tip: We recommend visiting Carib Waterplay, which is perfect for finding all of your water sports and other activity needs. St. Jean Beach is on the northern side of the airport, which means planes can come quite low over the western end. However, there are no large aircraft flying in, so no worries on noise from big jet traffic. Locals Tip: Unless you bring your own chairs, you will likely need to pay for a day use of the chairs provided which is perfect for a relaxing day with drink service. We loved Saint Jean because it felt a like a complete neighborhood unto itself, meaning you didn’t need to go into Gustavia if you didn’t want to, as the local shops and the big mall across the street from the airport have everything you can possibly need, including a supermarket to stock up your villa (although Gustavia is only about 10 minutes’ drive). 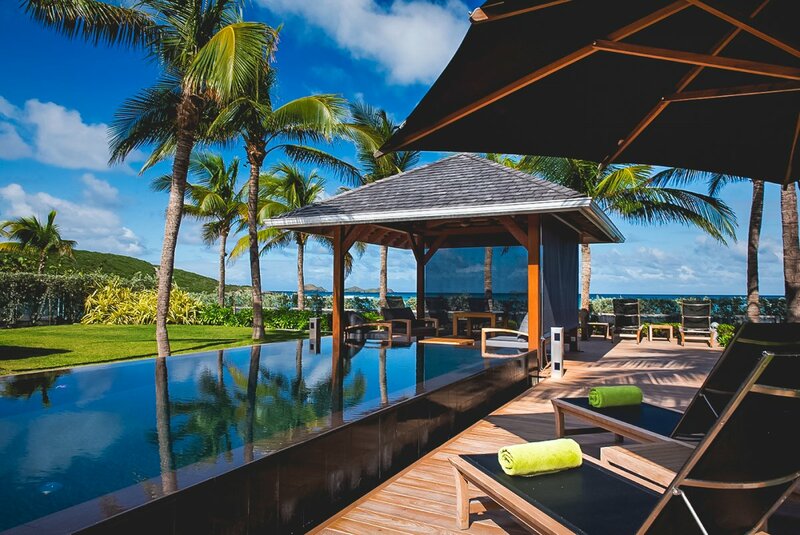 If you like the idea of staying right on the beach, then the aptly named St. Barts Beachfront Villa may be for you. 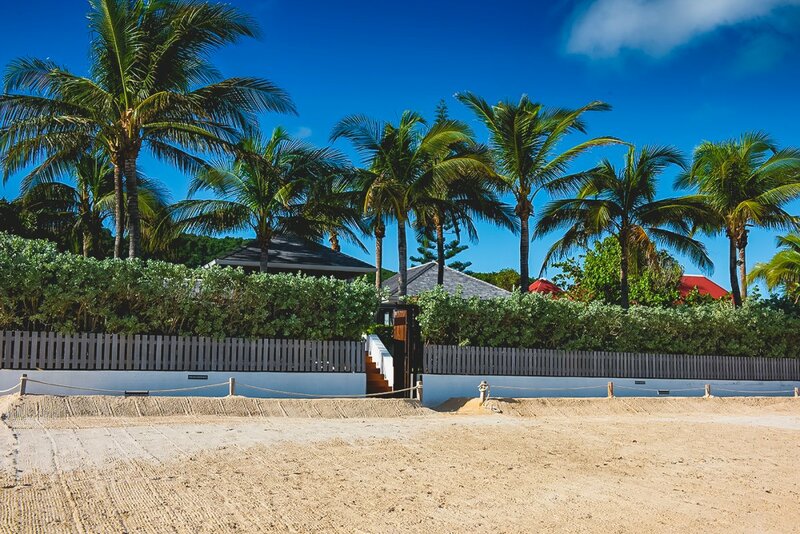 The villa is an updated and modern four-bedroom beachfront property. The home comes with a great pool and even a little “nanny cottage” in back yard. The home is a favorite of Hollywood A-listers vacationing with family. 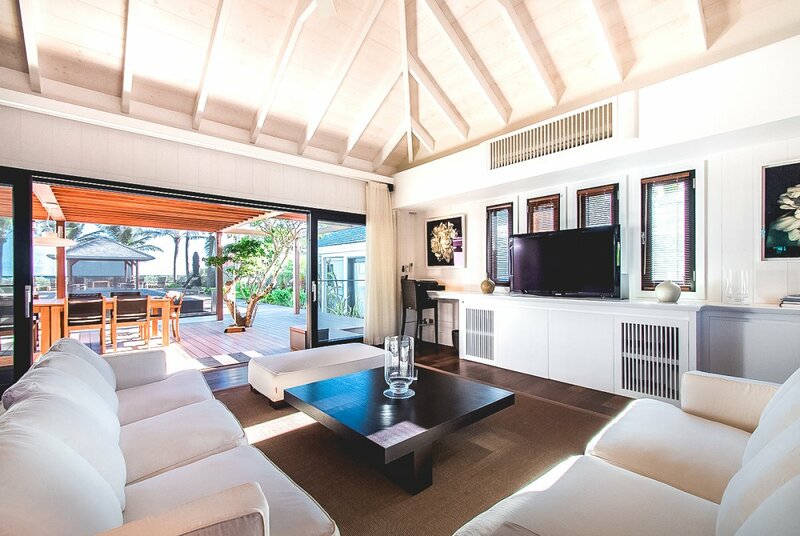 “This was one of the most beautiful properties on St. Bart’s. Featuring four well-appointed bedrooms, all with en-suite baths, this large St. Jean vacation home is truly luxurious and overlooks St. Jean beach. It’s not surprise that this home is a celebrity favorite and it’s perfect for multi-generational families or families traveling together. Anyone looking for a gathering place that also boasts privacy. There is a separate living room area from the bedrooms, perfect for entertaining. The pool was really well done and leads the guest out to the pristine white-sand beach. 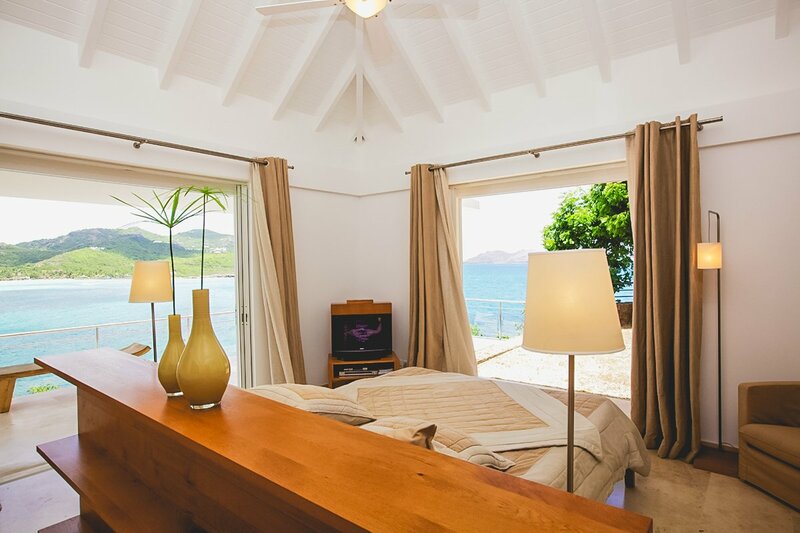 I would highly recommend this St. Jean villa to our guests!” – Shanon Searls, Marketing Manager and Villa Inspector. We also loved Villa Infinity, located on the east side of St. Jean beach. Villa Infinity is situated close to both quaint Lorient and St. Jean. 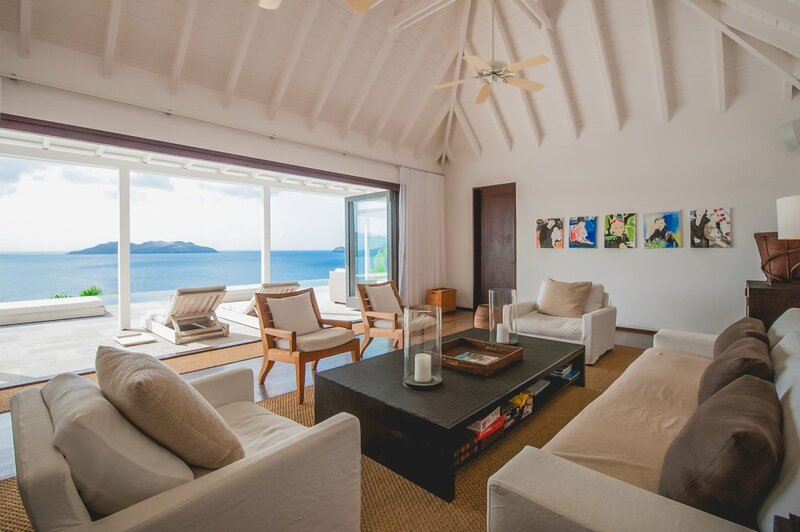 If you're looking for a two or three-bedroom Caribbean villa that's well-positioned to offer access to sights and entertainment options, this Caribbean villa should be on your shortlist. Infinity Villa’s interior design is soothing with its subtle earth tones. It features sturdy hardwood and stone flooring. While the indoors are relaxed and elegant, guests can take full advantage of the infinity pool on the terrace, overlooking the idyllic scene below. 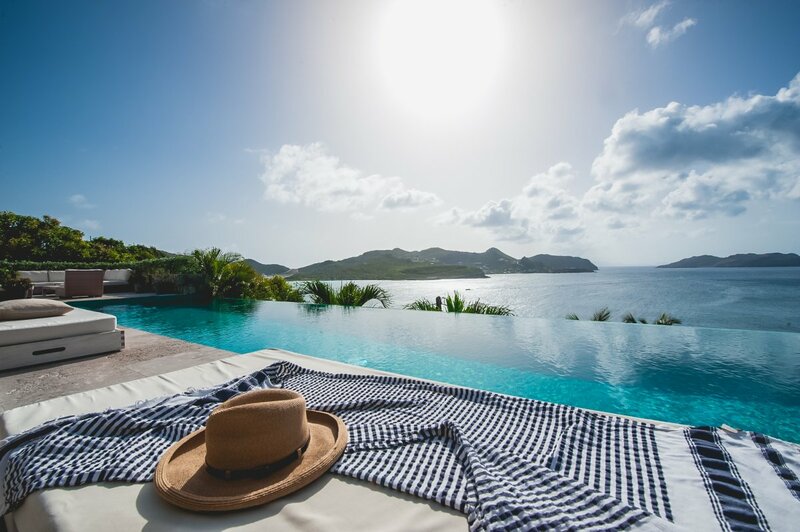 Across the beach we toured Villa Saint Jean, which offers stunning panoramic views of the Caribbean Sea. Villa Saint Jean has an updated appearance thanks to its modern flare and it's also a villa-renter favorite because of the plethora of benefits if offers. The home is all about indoor-outdoor living and the main living area opens to a huge terrace with its rock-formulated backsplash and shrubbery. Terrace is also home to a breathtaking infinity pool that possesses the perfect illusion of blending into the horizon below. "The master bedroom is so romantic! The decor features clean white's and ocean blues. I can just imagine waking up here to a cup of coffee while the sun rises, or enjoying a glass of bubbly to celebrate any occasion while the sunsets." - Shanon Searls, Marketing Manager and Villa Inspector. This stunning villa is perfect for a romantic couples’ getaway and is definitely a standout villa! 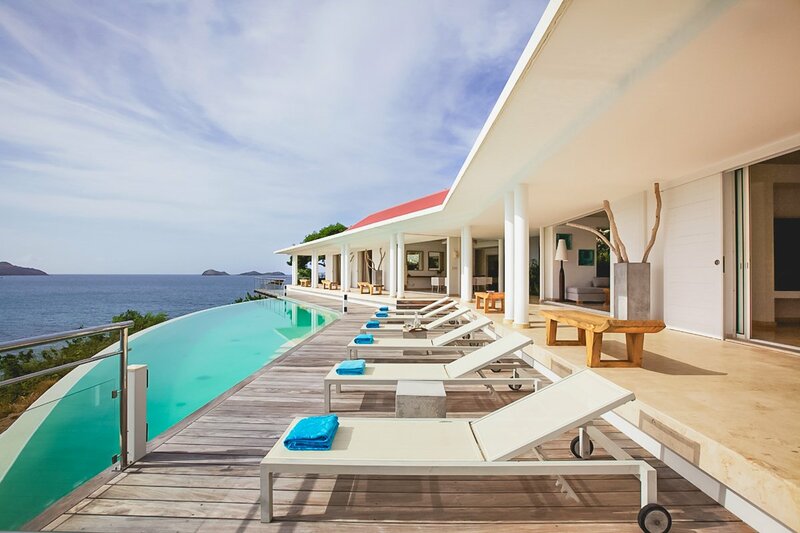 Now that your inspired, call or email our Villa Specialists to find out which Saint Jean Villa is best for your group.